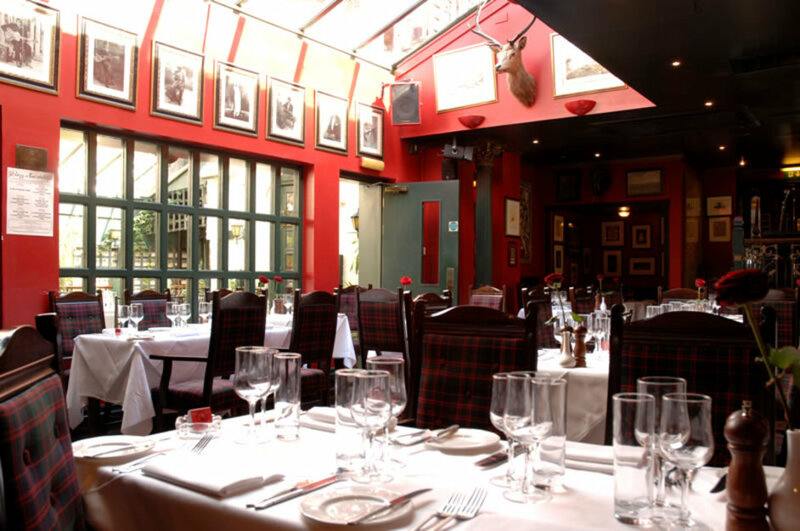 A tartan clad jazz, cigar and supper club, Boisdale of Belgravia has an the old fashioned charm of a gentlemen's club. Situated in an elegant Regency town house, close to Buckingham Palace Road, the traditional entertainment runs through the very bricks of this place. Dining rooms include the Macdonald Bar - home to The Boisdale Jazz & Cigar Club - Auld Restaurant, Back Bar and Jacobite Room. Above The Macdonald Bar is a purpose-built cigar terrace, well stocked with cashmere rugs and outdoor heaters for the colder British winter months. If you like this kind of thing - and you'll most likely be a city gent if you do - you'll be pleased to learn there's a Boisdale of Bishopsgate too. What are the best dining options near The Boisdale Jazz & Cigar Club London? The Boisdale Jazz & Cigar Club gyms, sporting activities, health & beauty and fitness. The best pubs near London The Boisdale Jazz & Cigar Club. The Boisdale Jazz & Cigar Club clubs, bars, cabaret nights, casinos and interesting nightlife. Where to have your meeting, conference, exhibition, private dining or training course near The Boisdale Jazz & Cigar Club. From cheap budget hotels to luxury 5 star suites see our special offers for The Boisdale Jazz & Cigar Club hotels, including The Goring Hotel London from 74% off.